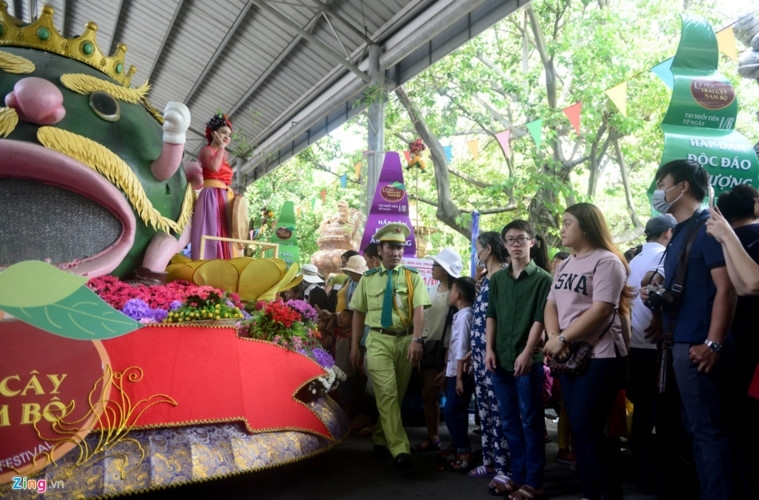 More than 40 beautiful girls in elegant fairy costumes have joined the Southern Fruit Festival in HCM City. They sparkled a parade show with carriages decorated with giant fruits. The fashion show is called Vietnam-Endless Beauty. Costumes are designed splendidly, aiming to reflect cultural characteristics of the north, central and south regions of Vietnam. The girl in the outfit of the Queen of Fruit leads the parade show. ll these costumes are created by young designer Tin Thai. Visitors line the streets to enjoy the show. 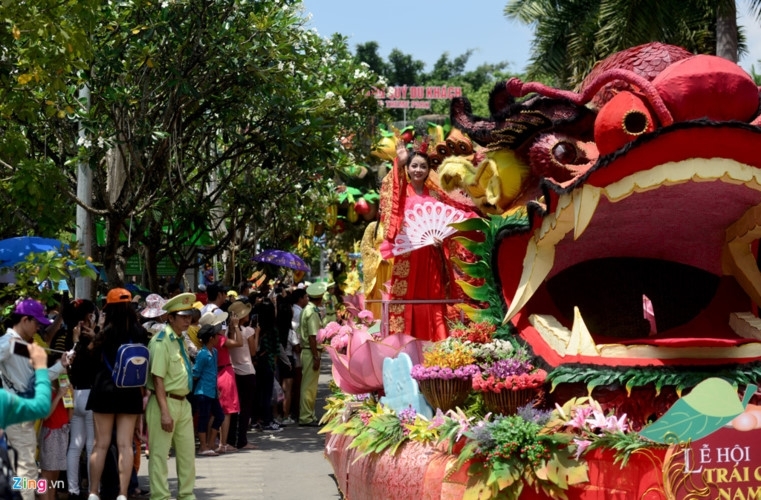 The parade show goes through the main roads in the tourist site.